Lovely piece for you to consider. 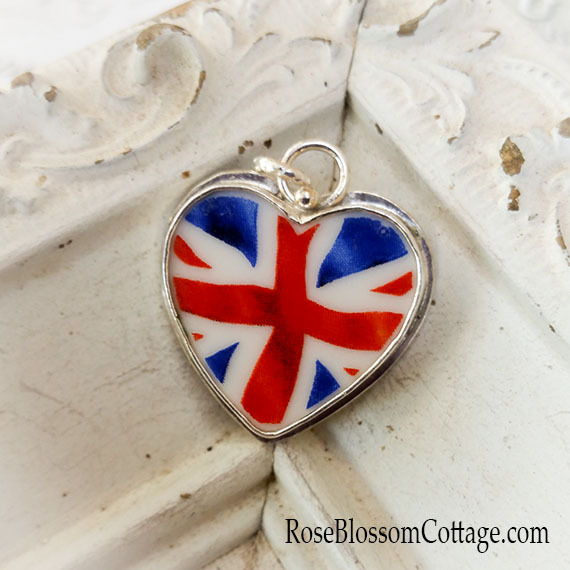 Would be suited to a single statement charm on a bracelet or a really great pendant for you. It's a looker! 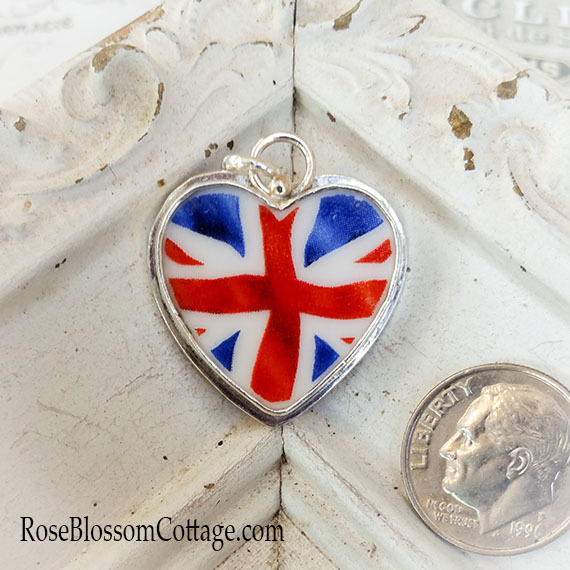 Porcelain Broken China Jewelry large heart charm featuring the British Union Jack. Love it! Size and Packaging: 1 1/8 x by almost 1" wide overall. Comes packaged in our signature pink and brown packaging.